A writer's sometimes precarious journey from inspiration to market! 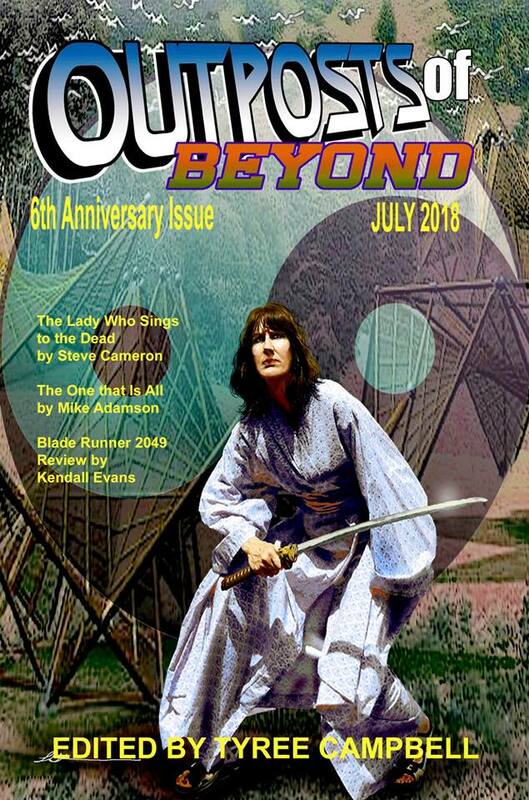 Just released, catch my “Middle Stars” piece The One that is All in the latest edition of Outposts of Beyond, from Alban Lake. Print or digital editions, click here. Also, a few days ago my “Middle Stars: The Colonial War” short “Elusive Target” was shortlisted at NewMyths, and there should be a decision by October. I recently made my 925th submission, so I’m closing in on that thousand! I still have over seventy pieces on submission, though new material has been slower in appearing this year than last. June 20th will always be a sombre day for me, as it’s a year today I lost my Mom. I wish she could have lived to see the strides I’ve made as a writer, I’ll always regret that she has not had the pleasure of enjoyong developments as they came about. Releasing today is the anthology Wavelengths, an SF collection focussing on modes of communication, from JayHenge Press. The volume features my story Sing to Me, the Alien Said, one of my “Tales of the Middle Stars” opus. It’s available in ebook and print editions through Amazon US and Amazon UK. 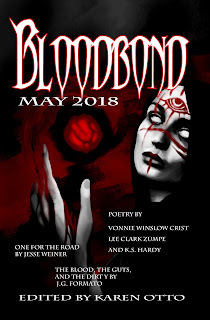 The anthology After the Orange, featuring my story Hellrider, is coming out shortly, final proofs have been seen, so watch this space for links. And here’s the free online archive of the story itself. 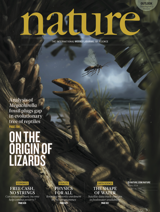 Nature, in print and electronic editions in a variety of languages, is estimated to reach eight million readers, and it’s quite a thrill to imagine science professionals all over the world turning to the inside back page and browsing the week’s SF outing! I’ve never before needed to do two “in print” pieces in the same month but I think the news is worth it. Masques is appearing in the edition of Nature due on the 31st – I’ve approved a proof copy of the page and am absolutely delighted with it. I’ve penned an entry for their blog discussing the motivations for the piece, and will provide a link as soon as it comes available. Also at the proof stage is Hellrider for the anthology After the Orange, a volume of socio-political commentary tales for our troubled era. In other news, Alban Lake Publishing are picking up my ghost novella The Last Train to Deakin Valley, a 23, 000-worder set in the Peak District of Derbyshire. At this length it’ll be under its own cover, a stand-alone release, my first so far (and I trust not the last!) I should have more details soon. And Heroic Fantasy Quarterly have my sword and sorcery piece “The Dreamer in the Dark” under short-list consideration, for which I have my fingers tightly crossed. NB: Header image from a royalty-free image site. Appearing just a few days late is Lovecraftiana Vol.3 No.1, featuring my story Arcanum Miskatonica, a fiendish event in the cloisters of modern day Miskatonic Uuiversity, Arkham, Massachusetts. This is my fourth appearance in the magazine over their nine issues to date, making me a semi-regular contributor. Click here to order. 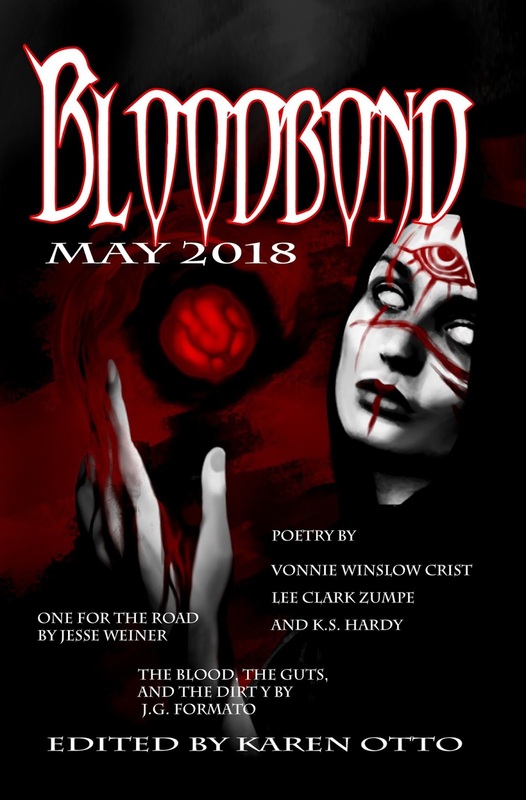 Also just put is Bloodbond for May, 2018, from Alban Lake, a specialist vampire magazine, featuring my Lucinda Crane adventure Stalking Nemesis. 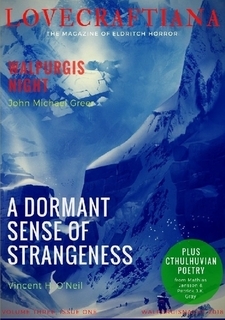 This one was meant to appear in the edition six months ago but was postponed to this current volume. Print and digital editions available, click here to order. 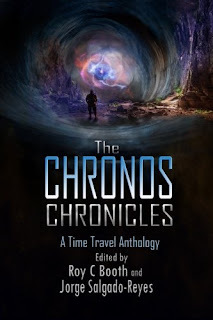 A couple of placements have come in over the last 24 hours, the anthology Temporal Fractures: (Mis)adventures in Time, published by Specul8 in Queensland, picked up my piece With Scientific Detachment, for a planned December release. However, the best news in a while is that my flash short Masques has been picked up by Nature Futures. 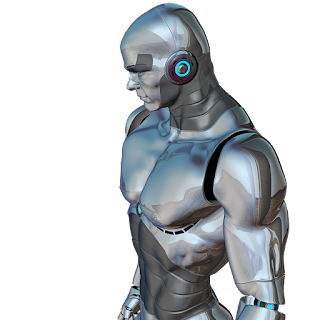 Futures is the science fiction feature in the back page of the great biological sciences journal Nature, and they pay a very handsome professional rate. I could not be more thrilled! The anthology Dies Infaustus, from 'A Muder of Storytellers' has picked up my short story The Moth and the Candle, one of the peripheral tales to my Ocean saga, begun long, long ago but hopefully with a future I can build toward. That's two which have found homes so far! 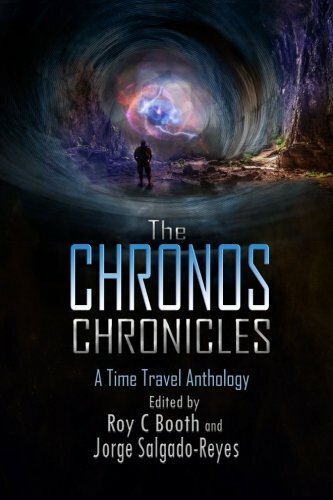 The Chronos Chronicles has at last been released, this was one of my earliest acceptances, from late 2016, a time travel piece titled The Winds of Time. You can order the paperback here. From the perspective of a troubled 21st century it’s often interesting to look back on earlier chapters of turbulent history – Alastair Maclean’s Ice Station Zebra is a classic, evoking the Cold War of the 1960s in a taut, exciting package, and standard against which many are judged to this day. There have been more espionage thrillers written and filmed than you can shake a stick at, they became very much a sub-genre in their own right, and the South African writer the late Anthony Trew (1906 – 1996), while his first forte was perhaps the sea in general, made an interesting contribution with his 1975 outing The Zhukov Briefing. I know Trew’s work from my early exposure, e.g., Death of a Supertanker (1978), which I read in the 1980s, but I was never able to collect as many of his novels as I would have liked, and on a recent foray into the state’s biggest book exchange I happened upon The Zhukov Briefing, in the Fontana edition I am most familiar with from those days. Some may recall the prolonged dramas in the Baltic in the 1990s as the Swedish military scoured their coastal waters for Soviet submarines lying close inshore, presumably conducting espionage, so this novel, written twenty years earlier as a work of fiction, is somewhat prescient. It features a Soviet ballistic missile submarine going aground on the Norwegian island of Vrakoy, and the political and espionage wrangles surrounding it during the week before Russian salvage teams can refloat it. Not just any boat, of course, but the newest, biggest and most secret, thus the Russians’ haste to downplay its importance and the West’s rush to score an intelligence coup, through the abduction of a Russian officer and a clever attempt to offload blame by trying to convince him he had been taken by Chinese agents. Clearly, Trew is at his best when writing about the sea itself and the technology with which humans tackle it. 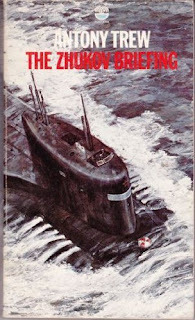 The opening chapters, describing the Zhukov getting into difficulty on her cruise from Leningrad to Murmansk via the Baltic and Norwegian Seas, are the most compelling part of the book, as once the submarine has been safely grounded to save her from doing down (an explosion in the forward torpedo room compromised her hull) the narrative changes character. It becomes a series of initiatives executed by a plethora of characters, enough for it to become a little difficult at times to remember who’s who, and the pace and conviction of the opening section is never quite recovered. The Russian captain, so central to events at the beginning, is quite forgotten by the end. However, the tiny island and its isolated community is brought to life well, such that one can visualise it easily. As a picture of the espionage community over forty years ago it is an interesting window on the past – this is the age before personal computers or mobile phones, telex was in use (a predecessor to fax), when aircraft designed in the 1950s remained in service, and World War II was in easy living memory – one character had been a Quisling, a Norwegian Nazi collaborator, for instance. Either Trew runs askew on some technical details or the typset introduced errors (the presentation of the text features a fair few typographical problems), “Lockheed SR-1A operating from the Keflavik Air Base,” is clearly a typo for SR-71, but they operated out of Beal AFB in California, and did not land during missions, refuelling as often as necessary. Perhaps this was not fully appreciated in 1975. Narrative is neither as flowing nor as tidily trimmed as is typically demanded these days, but he flourishes when evoking the Arctic seaways. It’s an entertaining read if you can get your thinking gear around the dozens of characters coming and going, and there are some clever twists toward the end. If you’re in the mood for an historical thriller and fancy some steel-and-salt-water, this one stands up well 43 years on. 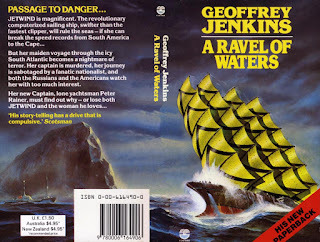 I became a fan of South African sea novelist the late-Geoffrey Jenkins in my late teens/early 20s, when my fascination with all things marine and submarine blossomed – not many years before I learned SCUBA diving and went to work with dolphins for an all-too brief period. I collected the classic Fontana editions with the brilliant Chris Foss wraparound covers and thoroughly enjoyed them. But a few I was never able to grab, and recently found a mint copy of his 1981 novel A Ravel of Waters at a truly amazing second hand book dealer. South Africa, as a country bordered by three oceans, has produced a number of noteworthy sea-writers, Anthony Trew and Wilbur Smith amongst them. 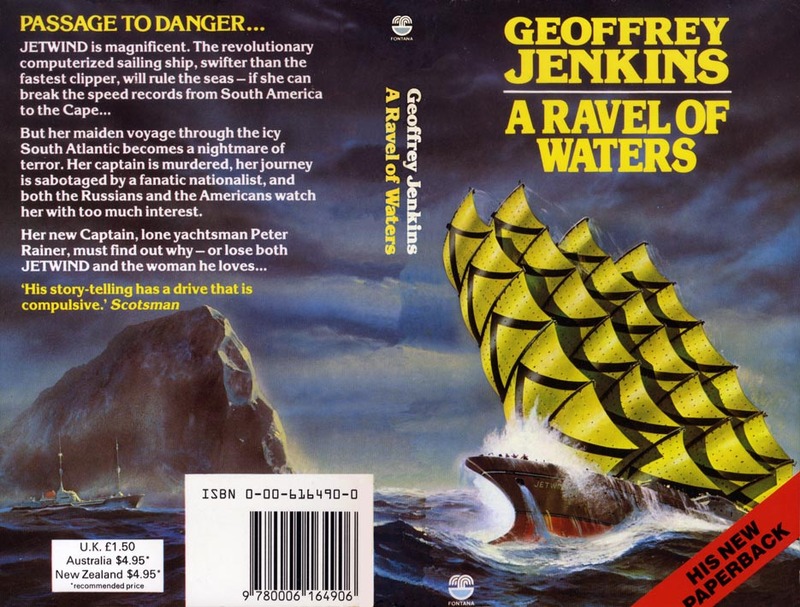 Jenkins wrote principally about the sea, with a military espionage/thriller twist. His first novel, A Twist of Sand was published in 1958 and over the following twenty years he produced some epic adventures set around the stormy coasts of his native Africa, and in the Southern Ocean which fascinated him. Some would say he was somewhat written out by the 1980s, his 1984 outing Fireprint I remember struck me as a bit forced, lacking the creative spark of his earlier work. A Ravel of Waters was hailed as a long-awaited comeback piece, and I enjoyed his dramatic turn of phrase when describing the wild Southern Ocean, one of his favourite localities for drama (see especially the brilliant Scend of the Sea and Southtrap). The story features the then-current technical proposal to bring back sail power for commercial carriers, and do so with space-age flair, hi-tech materials, computerised control, critical design developed with wind-tunnel experimentation to get far more power from sails than was ever dreamed of in the golden age. The experimental tallship Jetwind is on her maiden proving voyage, the vital leg of which is from Argentina to South Africa, through the turmoil of the far south. One can sense the writer’s enthusiasm when discussing the mechanics of re-imagined sail power, he is at his most passionate when bringing the vessel to life. In 1981, the political situation down there revolved around Argentina’s claim to the Falkland Islands, which erupted into war the following year. The novel takes place in the period of unrest between Britain and Argentina, though the Galtieri regime is not mentioned by name, nor does the name of Thatcher appear anywhere. This was also deep in the Cold War and the east-west tensions of the period form the over-riding background, that sees an Argentine extremist and his cadre ally themselves with the Soviet Union in preparation for a Falklands incursion with Russia’s tacit support, involving taking over the Jetwind as a political pawn. The hero is Peter Rainier, a young solo yachtsman who has just crossed the same stretch of ocean in another hi-tech sailing vessel. This prompts him to be offered command of Jetwind after her skipper dies in a mysterious accident, and the vessel’s Argentinian first officer puts her about to Port Stanley in the Falklands where she is laid up for reasons no one can determine. An Argentine warship is dispatched to impound the ship, but Rainier gets them to sea in a hair-raising night escape. The first officer must of course hijack them, and takes them to a rendezvous in mid-ocean where a Russian naval contingent is using a vast grounded iceberg as a secret harbour. The iceberg known as Trolltonga was a genuine object, the largest ever observed to that time, it calved from Antarctica in 1965 and its last remnants melted in the latitudes of New Zealand in 1978; Jenkins used it with artistic license as the locality for his finale some years after that date. The First Officer, Grohman, comes across fairly manic, as might be expected, but somewhat cardboard in his bad-guy-ness. One must remind oneself, no one on this ship is over 28 years of age, not even those ex-Navy and secret service, and it is a little difficult to relate to men of determination and action who are half one’s years. Ships at sea typically benefit from the experience of many years at the senior level, and though the circumstances are somewhat extenuating, it’s very youth-oriented. I feel Jenkins underplayed the ending. Short sentences are a fairly transparent device to imply pace, and his staccato narrative jars against his smooth expression earlier in the book. The closing chapters would have been too late to introduce new characters, so the Soviet naval squadron remains impersonal, mere background to the conflict of the principals. The action is at least a little contrived – times and distances are mysteriously ignored – are we dealing with fifty metres or five hundred? We have a few minutes before everything blows up, can a man in a survival suit really swim X distance in the time available? Can a cold water survival suit really cushion a man against a fall from the heights, inside a cylindrical metal mast? And so forth. The Russian naval flotilla is blown sky high during an operation to refuel from a special reserve sunk on the oceanic bank which had grounded the berg – somewhat convenient, perhaps, yet Jenkins mysteriously underplays the episode. Perhaps we are inured to vast SFX sequences in Hollywood blockbusters, the sort of imagery this novel cries out for, but the visuals of the narrative fall short by today’s expectations. Overall, A Ravel of Waters was an entertaining read, at its best when rhapsodizing about the mechanics of sail propulsion and the lonely, terrifying reaches of the Southern Ocean. If you enjoy a pacy thriller with action and exotic locales, and can overlook the odd shortcoming in dialogue and narrative, it’s well worth a look, and the international tensions of the pre-Falklands War period are interesting to look back on from nearly four decades hence. Maybe it takes a geek, nerd or dweeb to revel in a textbook, but we do exist and sometimes textbooks are a joy. I’m not talking calculus, nor French syntax, though I’d warrant there are mathematicians and linguists who would get a real charge from them. I’m talking more from the standpoint of a history buff who scans for writing inspiration, and recently had the pleasure of working through 800+ pages of delight. Peter Ackroyd’s London, the Biography is not strictly a textbook, of course, but a popular volume: one of my most enjoyable reads in a long time. It was picked up in a book exchange for me last year by my family, and when I finally got around to tackling the intimidating brick of a book, I discovered a lively, light-scholarly text so packed with fascinating information it amazed at the turn of every page. This is Ackroyd’s academic field, his works are numerous and I will be on the lookout for others. As a Brit ex-pat I have an enduring interest in my mother-country, and have visited London on a few occasions. The city as a focus of historic development, of empire and a crossroads of the world is a story of almost unimaginable scope; Ackroyd traces human habitation on the site from the Bronze Age to the present day, though the volume, while trending from the ancient to the modern, is not in fact arranged chronologically, but by topic areas. Fascinating information, facts and figures, spill from its pages. Past ages are brought to life through the words of those present from Roman times onward, and the city is seen as a separate entity from the country around it. The city remained, snug inside its Roman walls, throughout Late Antiquity, when Britain returned to a largely tribal state and the few civitates struggled to preserve the order of Imperial times within their own boundaries. Yet Londinium remained, prospered, spread and sprawled, and was rebuilt many times. The city burned over and over, the great fire of 1666 is the one best recorded by history, but it was merely one of many in the ages when flammable structures crowded close in rookeries and warrens. A fair few stories suggested themselves to me as I worked through the book, and I wrote up notes for some. The volume provides an extensive bibliography so the sources for further reading on specifics are there. As a window on the London of medieval, Tudor, Elizabethan, Cromwellian, Georgian and Victorian times, this book is remarkable, bringing the ages to life both with direct citation and a pithy and perceptive interpretation of the ocean of records which still exist. Under the streets of London are the cities of the past, and it is amazing to discover that there are streets which have followed the same course for over a thousand years. Layer upon layer of foundations can be located, Roman relics are common, and throughout the city one may chart waves of development and redevelopment, the poor in the industrial warrens of the east, the wealthy in the swank suburbs of the west, while south of the river burgeoned in crime and squalor from the 1600s onward. And what about the old London Bridge? A marvel of medieval engineering, a castle-like span bearing over 100 buildings, many four stories tall, which lasted until only a few hundred years ago – what a feat for the age! Similarly, the people of the past are brought to vivid life, with verbal portraiture of the maladies of congested urban life – the effects upon people of vast population and great want. London was known as the deepest pit of poverty, filth and disease in Western Europe, and possibly the world, European travellers were appalled by the conditions they encountered. Yet every voice is heard, from guildsmen of Chaucer’s day to the journals of Samuel Pepys (his eye witness account of the great fire is especially evocative), the writings of Charles Dickens and his contemporaries, a host of civil commentators throughout the ages – too many to enumerate, but all serving to bring history to life. 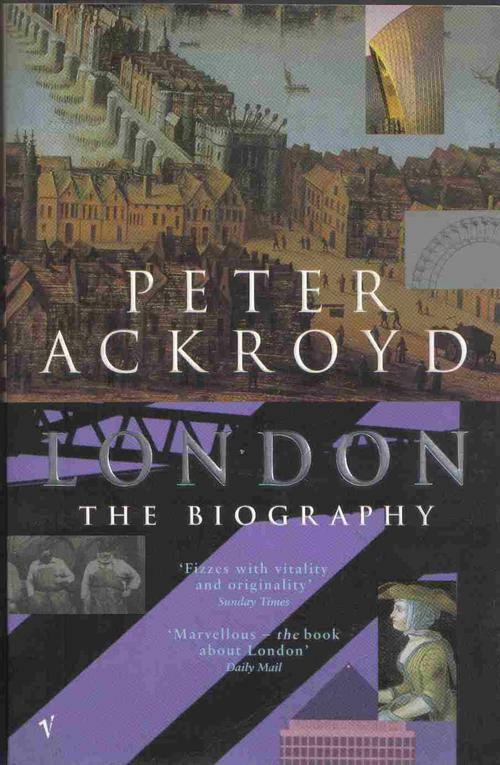 If, like me, you enjoy history for its own sake, with or without the archaeological perspective, and have any affinity for Britain, I thoroughly recommend London, the Biography. It was my bedside companion for some two months and I have not reshelved it yet – it is so natural to pick it up and immerse myself in history for just a little longer!